I’m not sure what variety of apples my grandmother, Hanna, used in the Fresh Apple Cake recipe she clipped from the Richmond Times-Dispatch newspaper in the 1930s, but I wanted to try it this week because apples – especially when dipped in honey – are traditional for the Jewish New Year.She might have used the Roxbury Russet, one of the oldest varieties of American apples, which originated in Boston in the mid-1600s. 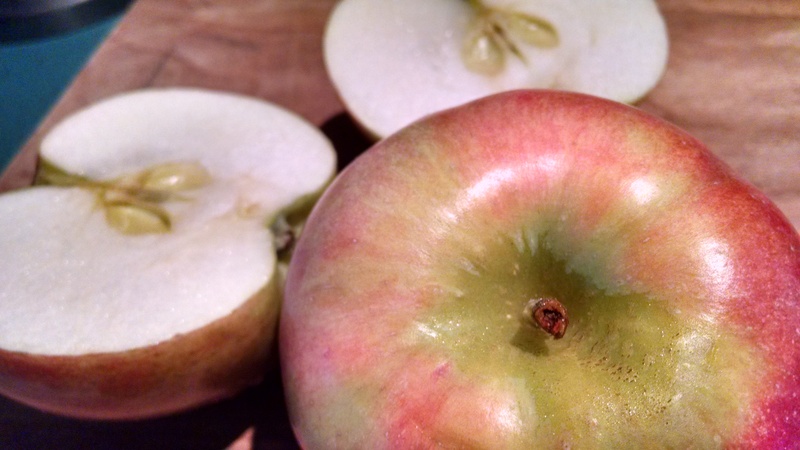 The small, yellowish fruits don’t exactly fit the current definition of “eating apples,” as The Fruit Gardener notes, but they last a long time in barrels and root cellars, which made them popular at a time before refrigeration. Roxbury Russet apple trees made their way to Virginia and still grow there, producing vintage apples. My grandmother’s recipe calls for mixing grated apples into a butter-sugar batter. Our family usually dipped apples into honey and that was our dessert. I imagine you could substitute honey for some of the sugar in the batter to make the traditional apple-and-honey combination, but I decided to play it straight the first time through. I left out the hot sauce topping, but I’m including the recipe here in case you want to dress up this otherwise plain but extremely moist cake. The term “top milk” comes from the days of non-homogenized milk. My aunt remembers spooning cream off the top of glass bottles of home-delivered milk and using it for cereal or coffee. Good thing that this holiday does not require fasting. My husband and I ate this cake for breakfast. Preheat the oven to 350 degrees. Butter an 8-inch square baking dish. In a large bowl, cream together the sugar and butter. Add the well-beaten egg. Wash and core the apples and chop or grate fine (include the peel). Add to the butter mixture. Sift together the flour, baking soda, nutmeg, cinnamon and salt. Add to the butter mixture. Stir just until combined. Pour into the prepared pan. Bake approximately 45 minutes until brown on top and a toothpick inserted in the center comes out clean. Whisk together the ingredients in the top of a double boiler and set it over simmering water. Stir until thick. Pour over the cake and serve. 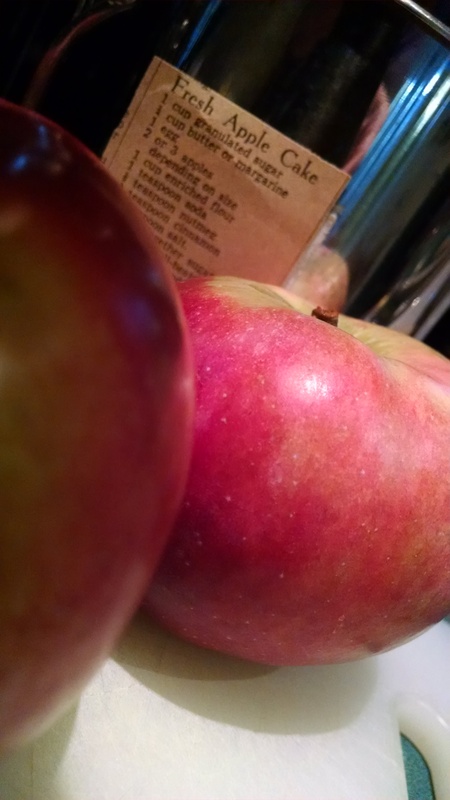 This entry was posted in Food, History, memoir and tagged apples, cake, cream, grandmother, honey, Jewish, Jewish New Year, Richmond, Richmond Times-Dispatch, Rosh Hashanah, Roxbury Russet, top cream, vintage apples, Virginia. Bookmark the permalink.